Priscilla J. (King) White, 86 of Truro, MA, formerly of Acton, MA, passed away peacefully at her home on November 16, 2018. Born in Waltham and raised in Lexington, she was the daughter of the late Chester S. King and Hortence J. (Rowe) King. Priscilla graduated from Lexington High School and soon after married the boy next door, the late Raymond L. White Jr., to whom she was happily married for over 64 years. Priscilla was a flourishing entrepreneur, owning several businesses throughout her life. During her first business venture she opened the Knit Nook in 1967 with her dear friend of over 55 years, Maryellen Burns. While co-owning the business, Priscilla decided to pursue her lifelong dream of becoming a hair dresser by going to cosmetology school at night. She effortlessly balanced the demands of her coursework with being a loving wife and raising her true pride and joy, her four children. She ultimately opened her most successful and enduring business, Perfect Touch Coiffeurs in West Concord, which she independently owned and operated for over 20 years. Priscilla was well known throughout Acton and Truro due to her lively spirit, lifetime involvement in community activities, and her exceptional baking skills. 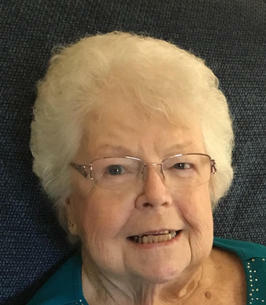 In Acton, she and her husband Ray frequently hosted large social gatherings, bringing friends and family together to celebrate holidays and special events. After retiring to Truro in 1998, Priscilla volunteered her time to local organizations including Meals on Wheels and the Wellfleet Thrift Shop. Priscilla was known to always bring a bag or two of homemade sweet treats to any event or activity. She was often lovingly referred to as the “cookie lady." Her generosity, warm spirit, and charisma allowed her to make instant, lifelong friends wherever she went. Priscilla will be lovingly remembered and missed by her many family members and numerous friends. She is survived by her four children: Stephen L. White and his wife Cecilia A. (von Jess) White of Littleton, MA, David S. White of Truro, MA, Paul D. White and his partner Patricia Studer of Townsend, MA, and Susan J. (White) Howard and her husband Donald R. Howard of Natick, MA; her two siblings: Eleanor DiIulis of Poquoson, VA and her brother Robert S. King and his wife Pat of Alexandria, VA; eight grandchildren: David Durkin of Littleton, MA, Ciara (White) Moustakis and her husband Kostas of Walpole, MA, Brett White of Great Barrington, MA, Stephanie White and her partner Rob Jobin of Lunenburg, MA, Elizabeth White of West Newton, MA, Timothy White of Shirley, MA, Amber Howard and her partner Tyler King of Pflugerville, TX, and Kristina (Howard) LeGrand and her husband Nicholas LeGrand of Natick, MA; and six beautiful great grandchildren: Dino, Nicholas, and Theodore Moustakis, Riley Ambrose, and Colton and Corbin King. Priscilla was also the mother of the late Jeffrey A. White. Family and friends are invited to join the family at the Acton Funeral Home, 470 Massachusetts Avenue (Rt. 111), Acton, MA, for visiting hours on Monday, November 19th from 5:00 – 8:00 PM. The funeral service will be Tuesday, November 20th at 1:00 PM at the funeral home with Rev. Barbara Aiello presiding. Burial will follow at Woodlawn Cemetery, Concord Road, Acton Center. In lieu of flowers, memorial gifts may be made to either the VNA of Cape Cod, payable to CCHC Foundation, PO Box 370, Hyannis, MA 02601 or to The Friends of the Truro Council on Aging, PO Box 500, Truro, MA, 02666. We encourage you to share any memorable photos or stories about Priscilla J. (King). All tributes placed on and purchased through this memorial website will remain on in perpetuity for future generations. My condolences to the family and all who loved Priscilla. It’s so hard to lose someone we love, but the seeming finality of death is what makes it especially difficult. Job 14:14,15 gives us confidence that God yearns to bring back to life the dead who are preserved in his memory. His Word, the Bible, gives us a wonderful hope of living in a paradise on earth and seeing the resurrection of our dead loved ones. (Luke 23:43; John 5:28,29) May this bring you some comfort during this very difficult time. To the family and friends of Mrs. White always cherish the fond memories of time spent together and although you may grieve the Bible can be a source of comfort. At (Revelation 21:3,4) it speaks of a time when there will be no more sickness or death, also at (Acts 24:15) it speaks of a resurrection that we all can look forward to. May the peace and love of the God of the Bible be with you all. So sad to hear of Priscilla’s passing. What a fine, delightful lady. I wasn’t around her very often but always felt so welcome when I was. Such an amazing lady, mother, wife & friend to so many. She will be greatly missed but leaves such a legacy with her friends & family. My thoughts & prayers are with you.